Singapore based dating app Paktor, has just partnered with private chauffeur service Uber to allow its users to ride with style to their date. In conjunction with the Valentine’s Day this Friday, it seems natural for Paktor, which has managed to match over 1 million users in Asia to run a campaign for its users. 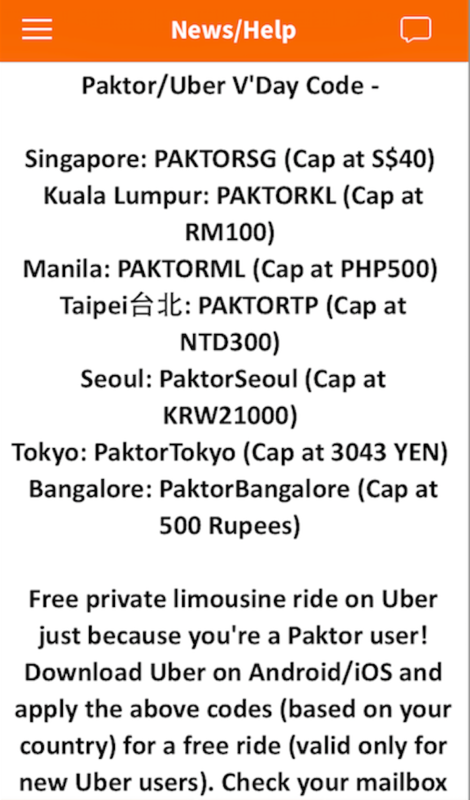 During the month of February, Paktor users from Singapore, Taipei, Manila, Kuala Lumpur, Tokyo, Bangalore and Seoul are treated with free Uber rides until the end of February to help them celebrate Valentine’s Day in style. With the non-evasive nature of Paktor, it makes it easy for anyone to meet people without the fear of being rejected. On the other hand, once two matched individuals gain confidence and trust to meet, Uber comes in as a safe way to travel for their date. Founded in 2009 in the United States, Uber provides on demand private driver to anyone. Need a private driver now? Simply launch the Uber app, select your pick up location, and a classy luxurious car will be on its way to pick you up. You can also track where the driver is so that you are kept in the loop on his location. 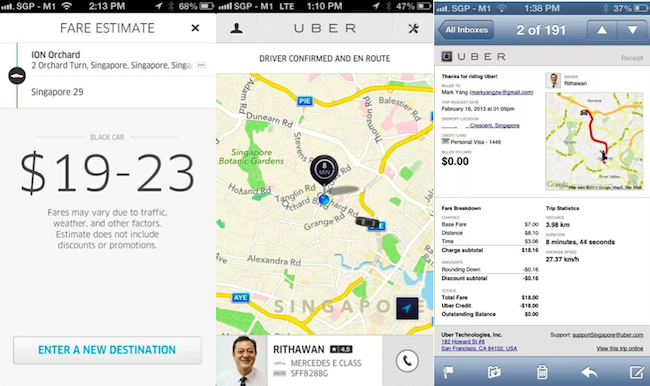 So how do you get a free Uber ride with Paktor? Simply download the Paktor app on your iPhone or Android Device, and get promo code from News/Help section. Once you have done that, you can download the Uber app, and apply the promo code in the Promotions section. Do note though, the codes are only available for new Uber users.